Trevena Cross doesn’t just sell plants; it grows them – more than 90% of what it sells in fact – with passion and expertise that simply can’t be rivalled. 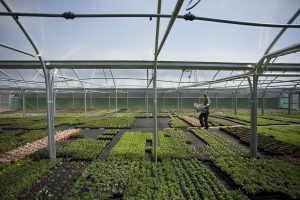 Our huge 32 acre, on site growing area gives us the scope to grow and nurture a continuous supply and huge variety of trees, shrubs, perennials, hedging plants and bedding plants, including rare and unusual specialities that are tough to find anywhere else – certainly locally. This rather exceptional growing operation, along with the garden centre, is independent, and family owned and run by the Jeffery family, (owners Graham and Rachel live with their family at the very top of the nursery). 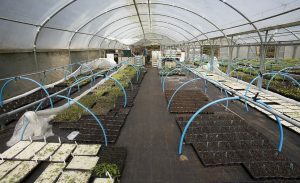 It has remained in the same hands since the business’s inception back in 1976, with the growing area steadily increasing in size to the huge expanse that it is today, encompassing a propagation house, potting area, outdoor bays, and huge indoor polytunnels – including heated tunnels to make overwintering a variety of plants, and preparing stock for spring, a whole lot easier! 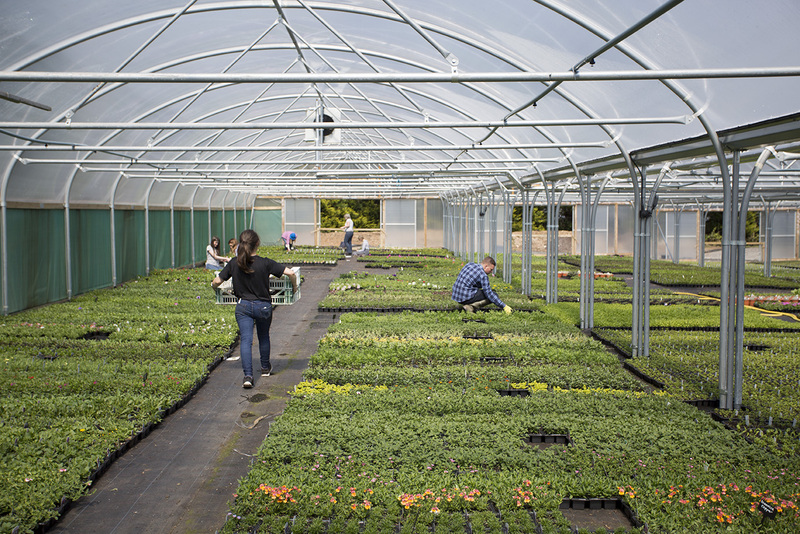 A dedicated nursery team work five days a week behind the scenes to ensure smooth operation of the nursery – a fact that most garden centre visitors are unaware of. 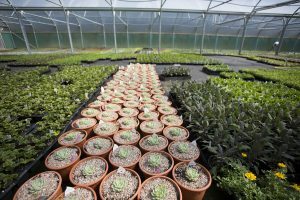 From propagation – which Lead Propagator and extremely knowledgeable plantsman Graham is responsible for – to potting, weeding, nurturing and managing the huge quantity and range of stock in the nursery – led by Nursery Manager Marcel, it is certainly no mean feat, growing our plants and ensuring that the nursery continues to operate as as a well-oiled machine!… And only a walk up the lane from the garden centre area. Why is a garden centre WITH a growing nursery better? ‘In stock’ not ‘Out of stock’ – By growing our plants (90% of our own plant stock), we don’t have to rely on third party wholesalers to supply us. We can ensure consistent levels of stock by always growing on new, unlike other garden centres which have to wait for a delivery when they run out of something. We can offer excellent value for money – Our reduced reliance on wholesalers means that most of the time we can cut out the middle-man price. Growing on site from seed or small plug plant, into a mature plant, means we’re not buying in a larger/mature plant and having to charge you more to cover our own costs – including delivery/haulage costs. 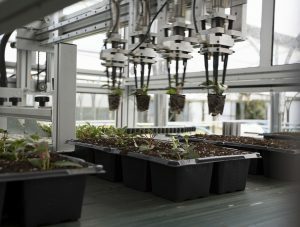 We can grow a wide range of different plants – growing on site means we’re in control and have the flexibility to grow what we choose, when we choose to. This includes interesting, rare and unusual plants that aren’t easy to source elsewhere. 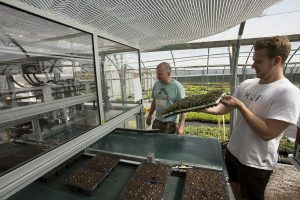 Everyone can learn something from the team’s wealth of plant knowledge and growing experience, whether complete beginner gardener, or experienced professional landscaper.